Residential security means peace of mind. Installing the highest quality locks, deadbolts, and other security devices are important in keeping your home secure. Affordable Locksmiths provides a wide range of products from the top companies including Schlage, Medeco, Mul-T-loc, CodeLocks, and more. Properly installed deadbolts are important deterrents and professional installation is your best option to secure your home. Affordable Locksmiths in Medford can secure your home from bump keys. Bump keys are specially cut keys that require nothing more than a hammer to break into your home. Bump keys have become more prevelant in recent years as the internet has made them easy to obtain and Youtube.com has videos posted for criminals to learn how to use them. For a complete history and understanding of bump keys click here. 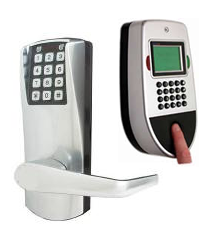 There are multiple options for lock replacement to solve this increasing security risk. With so many options on the market, from digital keypad locks, fingerprint readers, to higher end decorator design locks, you need an expert to guide you to making the right decisions for the security of your home. Call Affordable Locksmiths today for a free estimate for avoiding bump key issues, replacing existing hardware, rekeying, and all your locksmith needs. Affordable Locksmiths can also reduce the amount of keys you carry! Our Abus padlocks can use the same key as your house and many other keys. 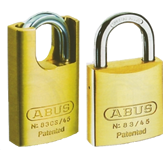 Ask us about rekeying an Abus padlock for you. We carry the following industry leading brands and more! We are a licensed contractor by the State of Oregon and licensed Locksmith by the State of Oregon-- #170447.